Maslenitsa in Nikola-Lenivets Art Park on February 17 was boisterous and fun, but also controversial. 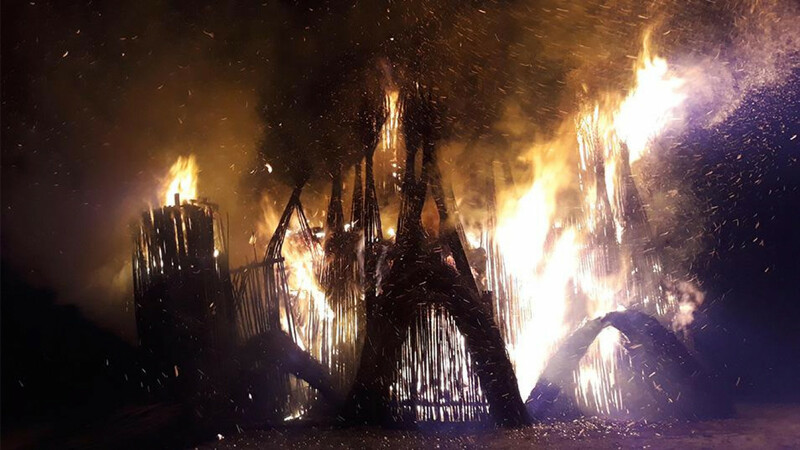 The central event was the burning of a 30-meter wooden structure built by the venue's founder Nikolai Polissky. It resembled a gothic cathedral, particularly the style called “flamboyant gothic” — translated as ‘flaming gothic’ in Russian — defined by flame-like ornamentation and dramatically long gables and tops of the arches. The event was a play on this architectural term, a fact seemingly lost on its critics. “Hello, Mother!” growls out over the audiosystem. A performer dressed as Death and a few others who look like shamans make a circle round the gothic wooden building. Death is wearing a black coat, a skull mask and a traditional Russian kokoshnik. The chief shaman, artist German Vinogradov, is also dressed in a black robe. He is wearing a dark balaclava over his face, a red hat, and a red rope around his neck. He holds a spike topped by a skull. Snow is falling heavily. Drones fly over the structure. Everyone stands still and waits, but nothing happens. It’s as if we are the main characters in the film “Groundhog Day,” come to witness the annual ritual of letting go of winter. But the main act doesn't begin. Finally, the chief shaman walks up to the wooden structure, cheered on by shouts “Light it up!” He gives the command to a man in a green vest, who struggles to set the twig cathedral on fire. Finally, as a recorded bell tolls, the fire catches, but the flame engulfs the structure completely only after dark. By then thick snow is falling. As the fire rises higher, a wave of euphoria sweeps the crowd. Now sparks are carried by the wind dozens of meters up into the sky. It is like pagans worshiping a burning idol, which begins to self-destruct. The right tower falls down with a crack. In two minutes the central spire falls backward. People run away from the fence around the structure, still trying to take pictures. But the organizers have calculated everything well, and destruction doesn't leave the circle within the safety fence. The left tower breaks apart last, and the whole building looks like a funeral pyre. The outer walls continue to burn against the night sky, drawing a different silhouette in the darkness. The shamans have succeeded. Winter is buried with honors. But spring is not within sight. Under snow and wind, the crowd of at least 2,000 visitors trudges through fresh snowdrifts towards the parking lot, lit by snow-dimmed headlights. This was the end of the central episode of Maslenitsa in Nikola-Lenivets, an art park about 150 kilometers to the southwest of Moscow. Since 2001, structures have been burned here at the end of Maslenitsa — the week of pancakes and merriment before Lent begins. 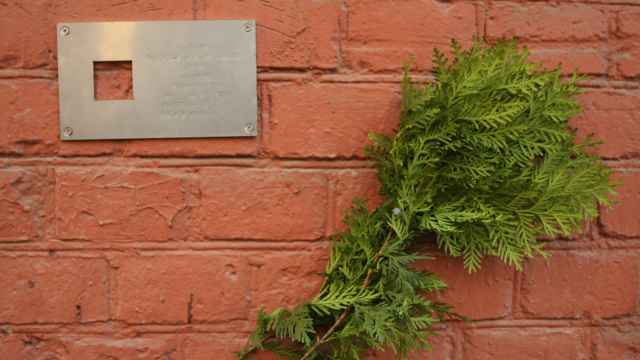 But this year the founder of the park, Nikolai Polissky, was inspired by the concept of “flaming [flamboyant] gothic” and took the term literally. Many 15th-century European cathedrals were made in this style and then scorned by late Renaissance architects. The artist insists the team didn’t build a religious object, but just a big bonfire out of alder tree twigs that resembled a church in shape. He added that putting the structure up took the team of 12 about 6 weeks. He also pointed out that organizers of Burning Man, the legendary art festival in Nevada desert, had come to Nikola-Lenivetsto witness the ceremony. Would he take part in the US event himself? “It's very crowded there. It's easy to get lost. And you need to be really rich to go. So we’d need to create something outstanding that would get noticed… If we can do that, we’ll go,” Polissky said. After the angry comments in social media by people who didn’t see the event and thought Polissky had burned an art object representing a church, next year it might be easier for him to create something extraordinary in Nevada than at home. 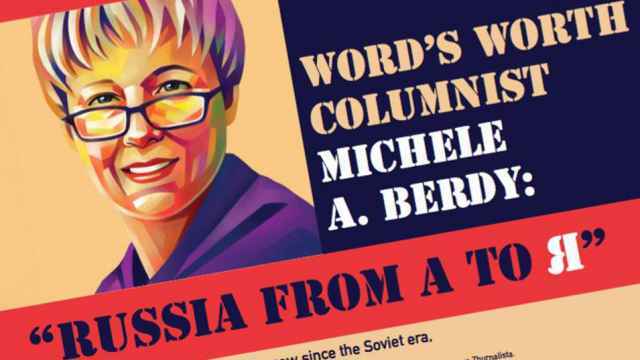 Veteran columnist Michele Berdy launched the series with a talk about her life in Russia since 1978.